Jess Silk is a guitarist, singer and songwriter from the Black Country who has been penning songs since her early teens. Over the past few years her style has developed into a husky, shouty brand of folk music that often has her being likened to a female Frank Turner or Billy Bragg. Jess has enjoyed playing support slots for the likes of Justin Sullivan (New Model Army), T.V. Smith (The Adverts), and Attila the Stockbroker to name a few. 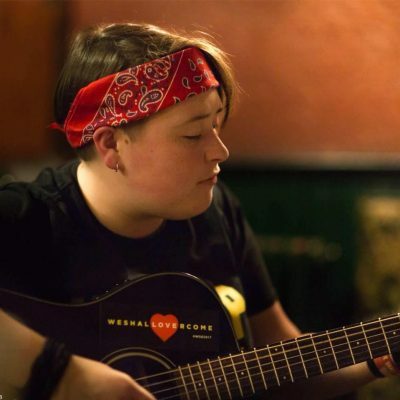 Taking inspiration from her favourite artists (such as the Levellers, Frank Turner, Billy Bragg), Jess is heavily lyric-focused, writing songs inspired by current events on a world-wide and a much more local scale. Jess’ debut album was released on the 11th May 2018.